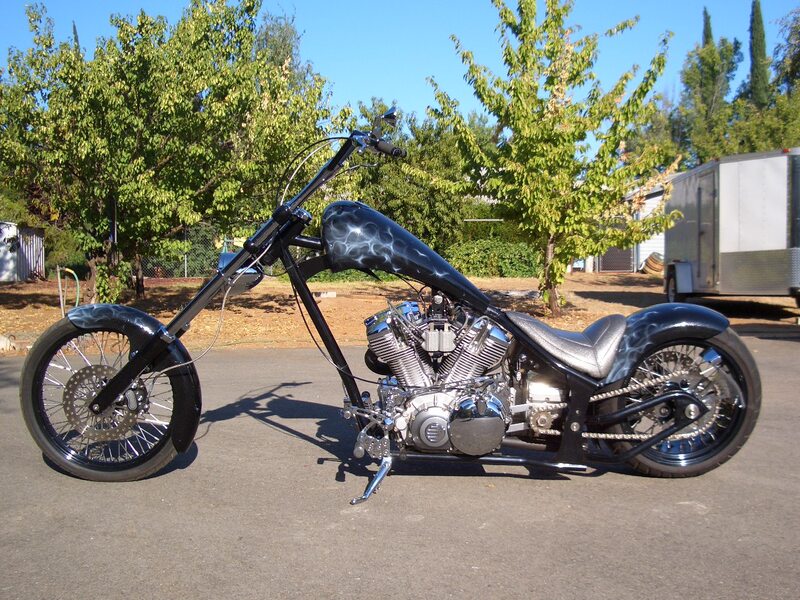 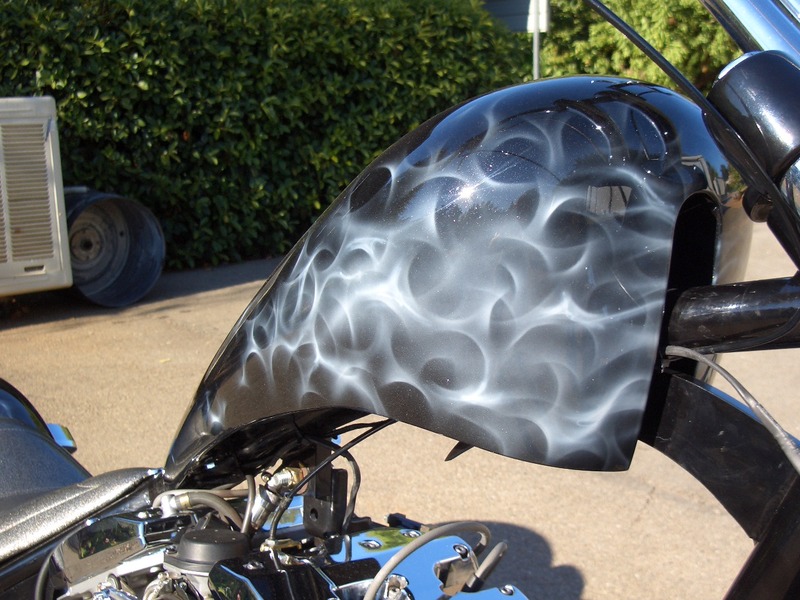 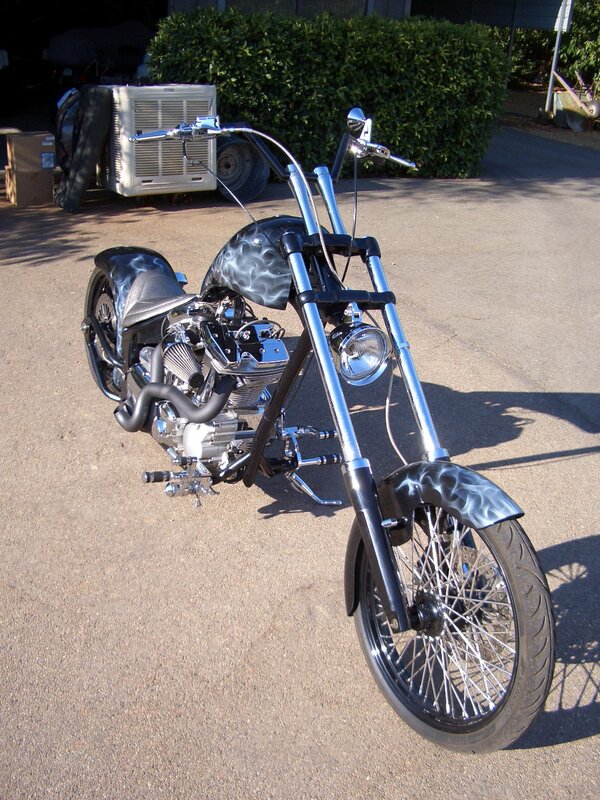 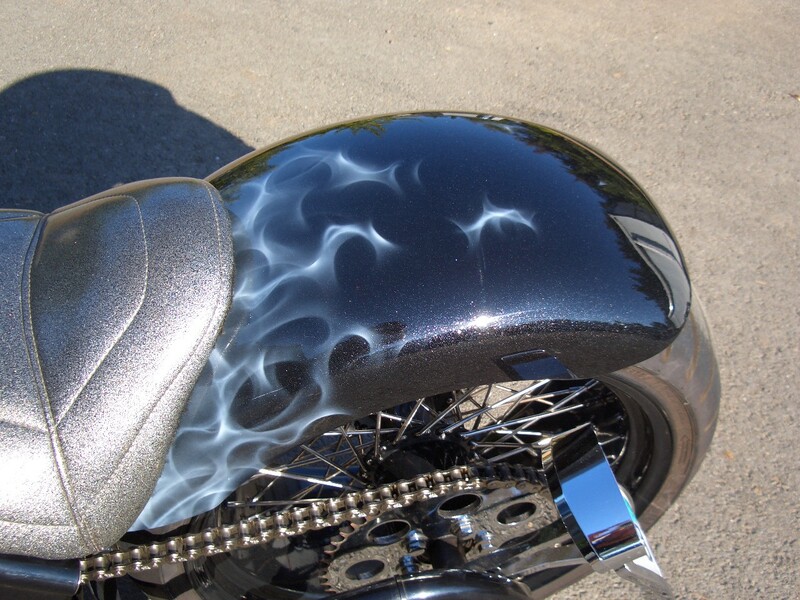 This is the same chopper as Black Chopper 1.0 just with a different tank and paint job. 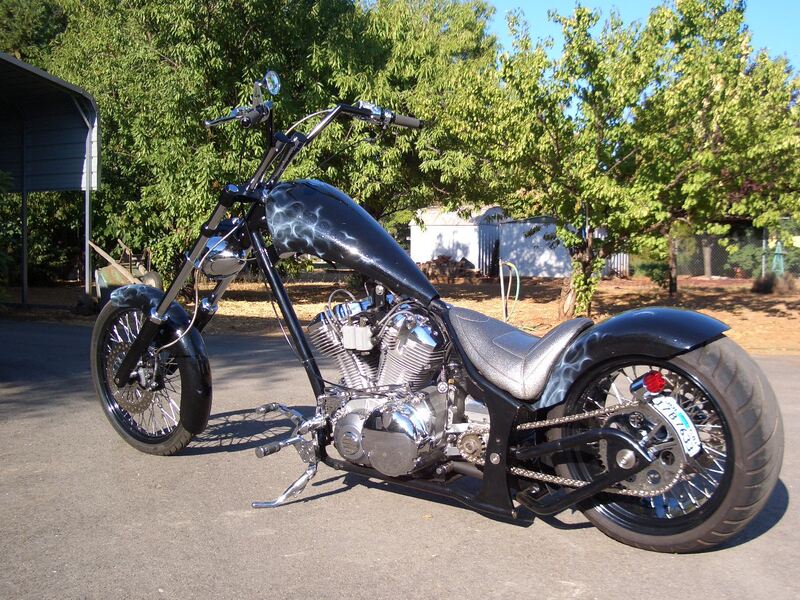 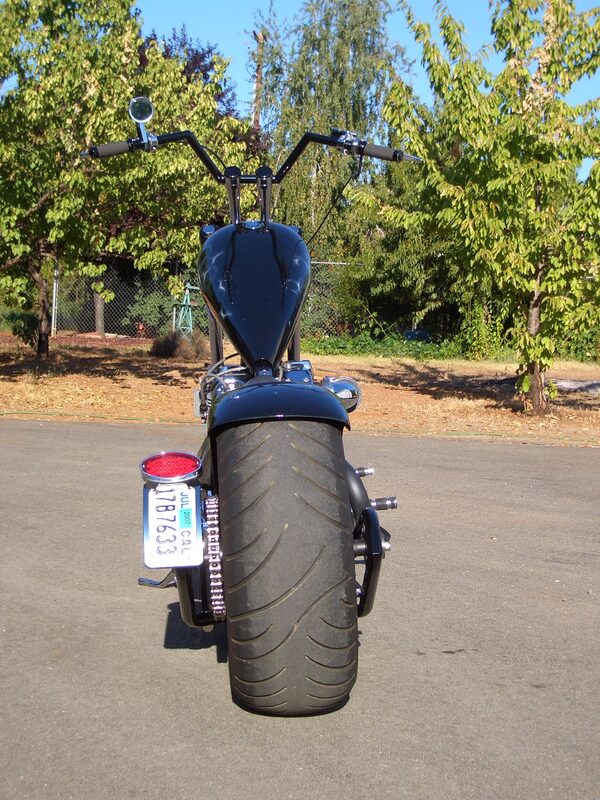 It is a Yamaha Roadstar with a full custom frame, 250 wide rear tire. 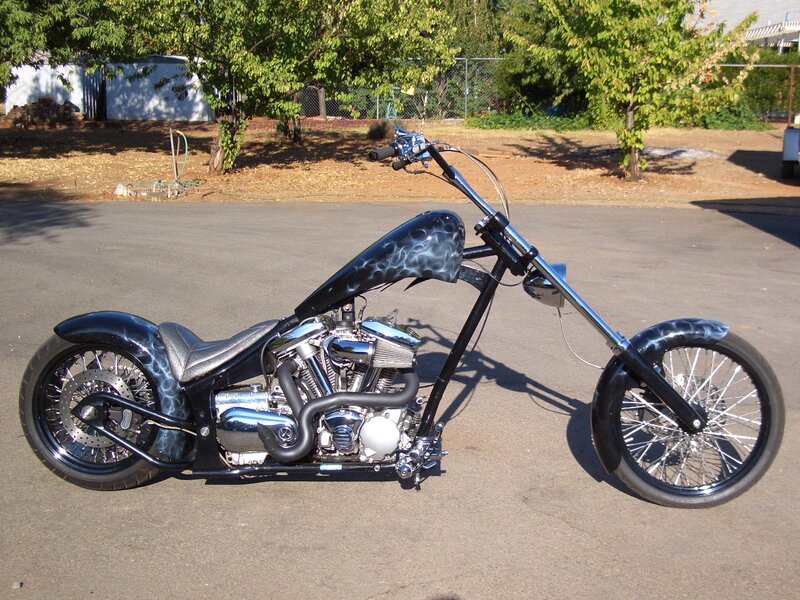 Custom built everything.